Vauxhall turned up at the Geneva Motor Show with a very small car called Karl. Adam’s little brother, if you will. 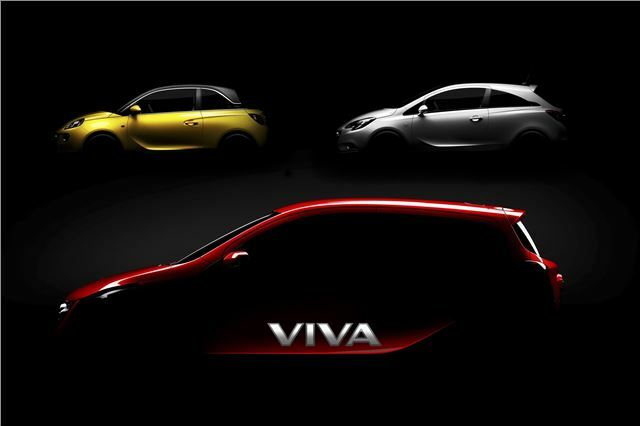 It will arrive in the UK in the summer of this year (2015), and with a different name: Viva. That will sound familiar to many of you, although this Vauxhall Viva is very different to the last one. Read our top ten to find out why that is, and everything else you need to know. City car, small hatchback, ultra compact, runabout… however you want to classify it, the Viva is the smallest, most basic, most cost-effective car in Vauxhall’s range. And in a highly unusual bout of model simplicity, only two trim levels are available from launch, both powered by the same engine. By contrast, there are currently 51 versions of the Corsa to choose from.